THE DOOMSDAY KINGDOM, the new solo project from CANDLEMASS bassist and songwriter Leif Edling, will release its self-titled debut album on March 31, 2017 via Nuclear Blast. The disc will contain eight epic doom tracks with a pinch of NWOBHM and haunting catchy melodies. Joining Edling on the effort are WOLF singer Niklas Stålvind, guitarist Marcus Jidell (AVATARIUM, SOEN, ex-EVERGREY), drummer Andreas "Habo" Johansson (NARNIA), as well as several guest artists. "I'm extremely happy that THE DOOMSDAY KINGDOM album is finally finished and ready to be released! ", states Leif. "It's been a long windy road, to say the least, and many things and circumstances have been leading up to it. It is an album that I'm extremely proud of, from the cover artwork to the songs and sound. One of the best things I've done in my life!" THE DOOMSDAY KINGDOM will make its live debut at the Roadburn festival in April 2017. The lyric video for the demo version of "The Sceptre" can be seen below. Edling stated about the song: "On the album version, 'The Sceptre' is a bit re-arranged. There's a couple of more harmony guitars added on it as well. We also have some people guesting: In the mid 'classical' solo part, we included a mellotron that is played by one of this country's best mello-players, whose name I will disclose later on... Same thing with the long end solo. One of my all-time heroes and musical influences was kind enough to put his guitar and stamp on here to make this song very special! Lovely solo, lovely bloke!" 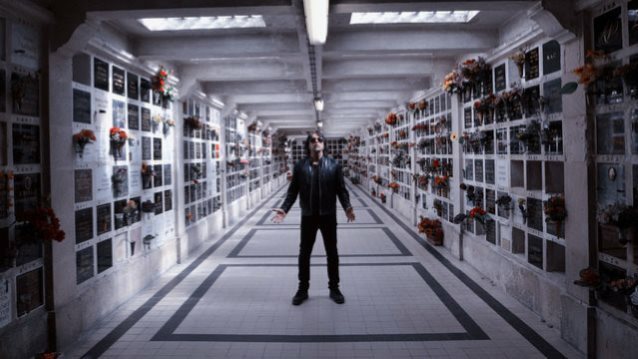 Regarding the track "Never Machine", Edling said: "'Never Machine' is the very first song that I wrote for THE DOOMSDAY KINGDOM. It starts with a riff à la BLACK SABBATH and takes off into doomier territories with the haunting chorus and the extra-heavy outro." 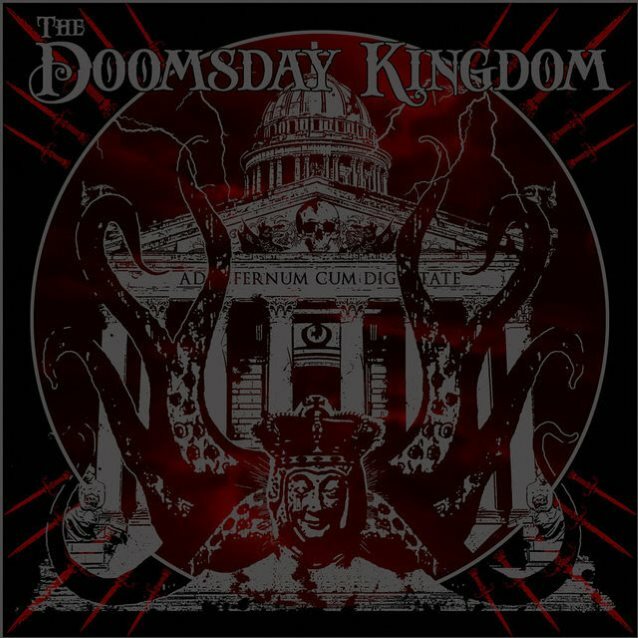 THE DOOMSDAY KINGDOM's debut EP, "Never Machine", was released on November 25 via Nuclear Blast. Edling stated about THE DOOMSDAY KINGDOM: "THE DOOMSDAY KINGDOM was created two years ago. I was in pretty bad shape. I couldn't go out, I couldn't work, I wasn't allowed to read, I couldn't watch telly and I wasn't allowed to work in front of the computer, so all I had was the music. And I created THE DOOMSDAY KINGDOM, metal from the catacombs."